Day trading is like operating any other business. It requires good commitment, determination, and effort. Many people make mistake by learning intraday trading in the wrong way. There are numerous strategies out there. While most of them are scams. Fortunately, there are few stock market courses for traders educating beginners on day trading. This page will advise you fundamental of day trading for beginners. We’ll also discuss valuable tips and strategies to earn profits in 2019. Day trading is not for everyone! It involves significant risk. Moreover, it requires a conventional understanding of how a market works and various profiting strategies. Day trading is defined as an act of buying and selling securities within a single trading day. As a trader, your aim is to take from the market whatever is possible on the same day. Some of the common types of da traded financial instruments are stocks, futures, options, and currencies. Today, day trading is dynamic. There are several terms used to define trading strategies including personalities and techniques. For instance trend traders, momentum traders, swing traders etc. Although in each case the objective is the same to earn profits. However, the technique employed and the trading time frame is different in each case. A day trader is someone who adheres to a day trading style. In other words, an individual who buy and sell financial instruments within the same day or even multiple times within a day. To take benefit of niche market price movements. A person cannot be successful in day trading because of a lack of discipline or fear of loss. It takes time to develop knowledge. Here are some profitable strategies for day trading for beginners. Trend Following: The strategy is applicable during all trading time-frames, assuming that securities which are steadily rising will continue to rise and vice verse with falling. A daytrader buys security which is rising or short sells a failing one in assumption to trend will grow. Contrarian Investing: It is a type of investment strategy that is affected by buying and selling in contrary to the prevailing sentiment of the time. A trader buys an instrument which has been falling in an assumption that trend will change. Range Trading: Trading in a range is a form of trading style in which a day traders bys a stock at or near low price and sells at the high. Spread Trading: Spread trading or scalping is a technique where small gaps developed by the bid-ask spread are exploited by the speculator. A day trader involves taking quick profits while minimizing risk. It is one of the most popular types of day trading strategies. It involves selling stock immediately when a trade becomes profitable. Day trading involves a market that is fixed closes. Although, a day trader can trade any security. Ultimately, choosing the right market to trade is the key to earn profits including how much you can invest and ready to take a risk. However, as a day trader, you can trade in the market for 24 hours such as forex market, currency market and futures markets. A day trader does not require to trade all day, but consistency is key to success. Alternatively, you can trade every day during the same hours. Preferably the time when the market is volatile and liquidly. For the stock and futures market, the best trading hours are earlier in the day or just before close. It is important to research the opening and closing times as the market hours can vary. Also, consider keeping eye on information releases, events, earning, and other cause to price fluctuations on the market you are trading. Financial management: Financial management means planning, organizing, and monitoring of monetary activities. Before you start stock trading, decide how much money you are willing to put on risk. Start small: Everyone has a big whilst. Stick to a maximum of 3 shares during day trading. Try to maintain profits with few than to be average. It’s good to make no money than a loss. Time management: The stock market is volatile with each day and it is uneasy for experienced day traders to read patterns. Hold back for the first 15 minutes so that you still got some hours ahead of you. Consistency: it’s important to hold things together. You can let emotions come in your way. Your strategy should always remain in terms of numbers and not emotions. In fact, always make a logical strategy. Like starting a career there are many things you need to learn while day trading. 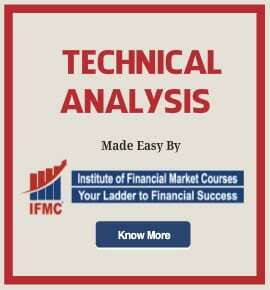 Learn day trading strategies with popular courses from IFMC Institutes. The day trading courses are for traders who want to make money out of day trading stocks. 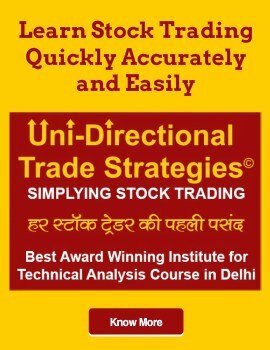 Uni-Directional Trading Strategies: UDTS course contains market behaviors, basics of technical tools, analytics to find the trend and lastly applicability of technical tools in the live market with examples. It is an award-winning course for Excellence in Financial Market Education. Moreover, trading strategies are popular in more 110 countries worldwide. 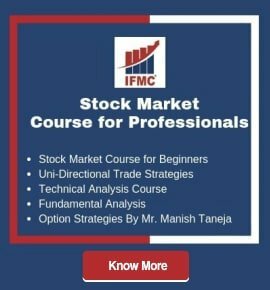 Quick Trader Course: Quick Trade online programme is the basic programme of IFMC aimed for a beginner in the Stock Market. 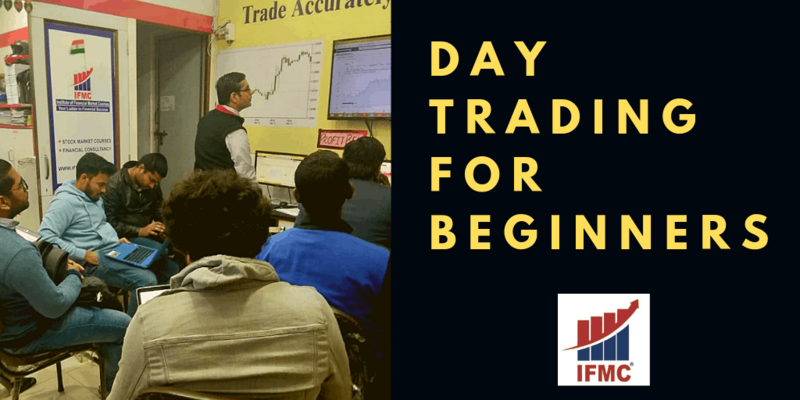 The students will learn the basics of all four market that is Capital Market, Derivative Market, Commodity Market, Currency Market along with complete Uni-directional trade strategies (UDTS) programme. You get pre-recorded videos in a simple language which makes learning easy. Result Analysis Trade Model: Result Analysis Trade Model is yet another innovative model of IFMC, which has been made and launched by the Research Team of IFMC. After studying this model, you can analyze the company results and do trades in Intraday and Positional.